This Bloody Clown Machete is no joke despite the colorful paint and ribbon. Adds a touch of dark humor to your scary Halloween clown costume and makes a great creepy carnival display prop. 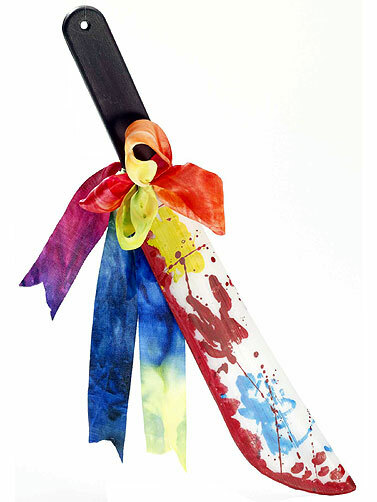 Hollow plastic machete has brightly colored paint splatters and includes a rainbow colored ribbon with bow. Bloody Clown Machete measures 19.5"L.